Some people saw white and gold, a few saw blue and black, while others just saw red trying to convince colleagues they were right. A [url=http://www.telegraph.co.uk/news/newstopics/howaboutthat/11440397/Some people saw white and gold, a few saw blue and black, while others just saw red trying to convince colleagues they were right. ]woman’s photo of a dress went global[/url] after she uploaded it online trying to settle a debate over its colour with a friend. We take a look at more optical illusions that will mess with your brain. This optical illusion was published by Edward H. Adelson, a professor of vision science, in 1995. 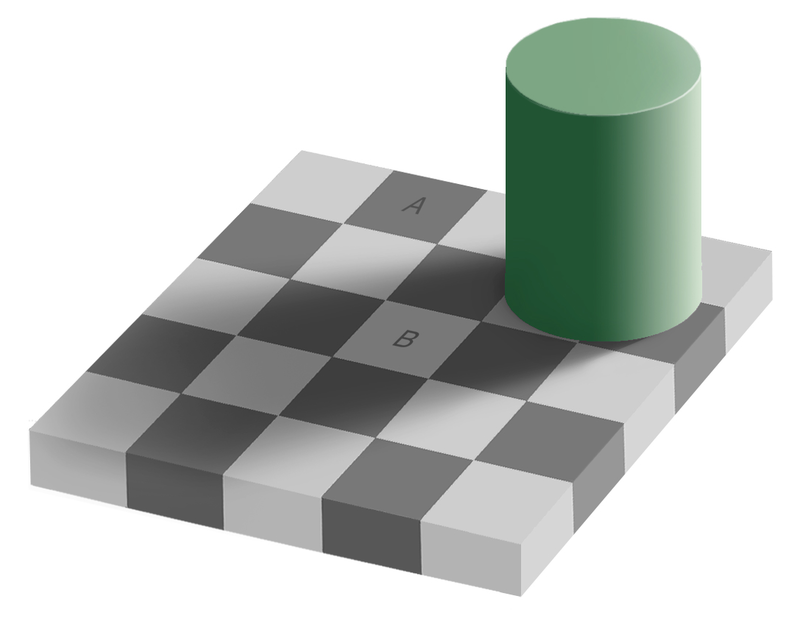 The squares marked A and B are the same shade of grey, even though A appears to be darker. It’s explained here. Which way is the train going? If you stare long enough it might just change direction. » 109th CFC Service Dress Tunic; did he get his medals? » Why has Gelico deleted her acccount?